Eli Ljung is a freelance cinematographer based in Minneapolis/St. Paul. With over fifteen years of professional experience behind the camera, he has shot video for clients including The History Channel, Target, Polaris, General Mills, 3M, Medtronic, and many more. Whether shooting handheld doc-style or finessing complex dolly moves, utilizing available light or deploying the contents of a 3-ton grip truck, he thrives on meeting photographic challenges no matter the scale or the budget. 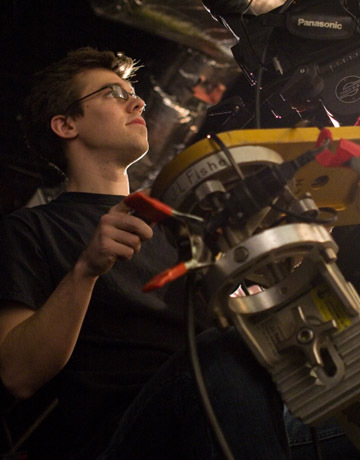 Eli holds a BFA in Film, Photography, and Visual Arts from Ithaca College in New York.